Electrical engineer, Nikola Telsa, and the Telsa music group usage of alternating current explain EARTH land electron MOS circuit systems and signs. Thus we see the electron structure of EARTH geography surface land ...thanks to the ideas of Telsa and his working relationship with Nature's intellect. 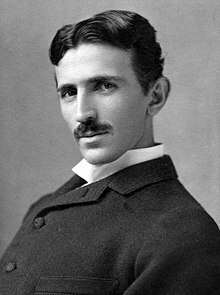 Nikola Tesla (Serbian Cyrillic: Никола Тесла; 10 July 1856 – 7 January 1943) was a Serbian-American inventor, electrical engineer, mechanical engineer, physicist, and futurist best known for his contributions to the design of the modern alternating current (AC) electricity supply system. ANF his AC (farm ACRES of Earth land/soil measuring systems ...such as 120 ACRE farms in year 1955 to parallel the 120 AC copper wire systems) . Tesla gained experience in telephony and electrical engineering before emigrating to the United States in 1884 to work for Thomas Edison. He soon struck out on his own with financial backers, setting up laboratories/companies to develop a range of electrical devices. His patented AC induction motor and transformer were licensed by George Westinghouse, who also hired Tesla as a consultant to help develop a power system using alternating current. Tesla is also known for his high-voltage, high-frequency power experiments in New York and Colorado Springs which included patented devices and theoretical work used in the invention of radio communication, for his X-ray experiments, and for his ill-fated attempt at intercontinental wireless transmission in his unfinished Wardenclyffe Tower project. Tesla's achievements and his abilities as a showman demonstrating his seemingly miraculous inventions made him world-famous. Thanks to the Telsa musics group and their COUNTRY show at the DODGE COUNTY fair grounds in Wisconsin ..... and their song about SIGNS. It's a good song ... interesting signaling TELSA messages to the sub-conscious mind of thsoe interested in scvience and in TELSA's accomplishments. I heard the radio ad for the show ..... thus inspired ...... living on a farm with AC = ACRES of EARTH geology/geography ..... my down-to-earth ..... well-grounded brain circuits .... subliminal mind thoughts .... have risen to a surface of conscious expression .... to help us understand our LINK to EARTH and Nature.